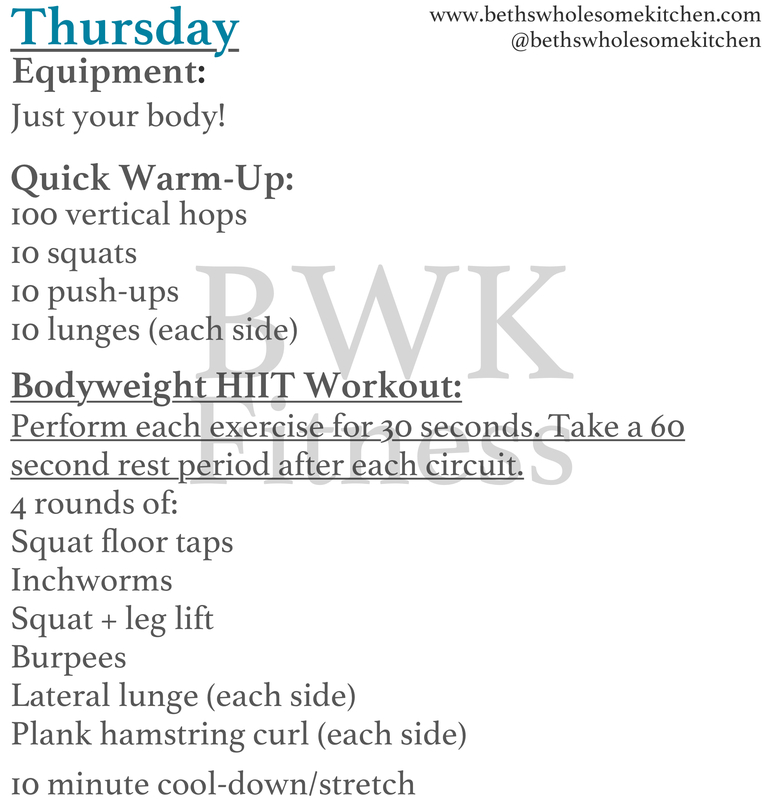 This week, I decided to do all my workouts at home! You honestly don’t need a gym membership to get a workout in! I wanted to really focus on my interview that I had on Friday and made sure I was completely prepared for it. I feel that I did well and I’m really hoping I move on to the last round of the interview process! I wanted to do my workouts at home because I knew I’d be able to jump right back into what I was doing rather than having to drive back home from the gym. 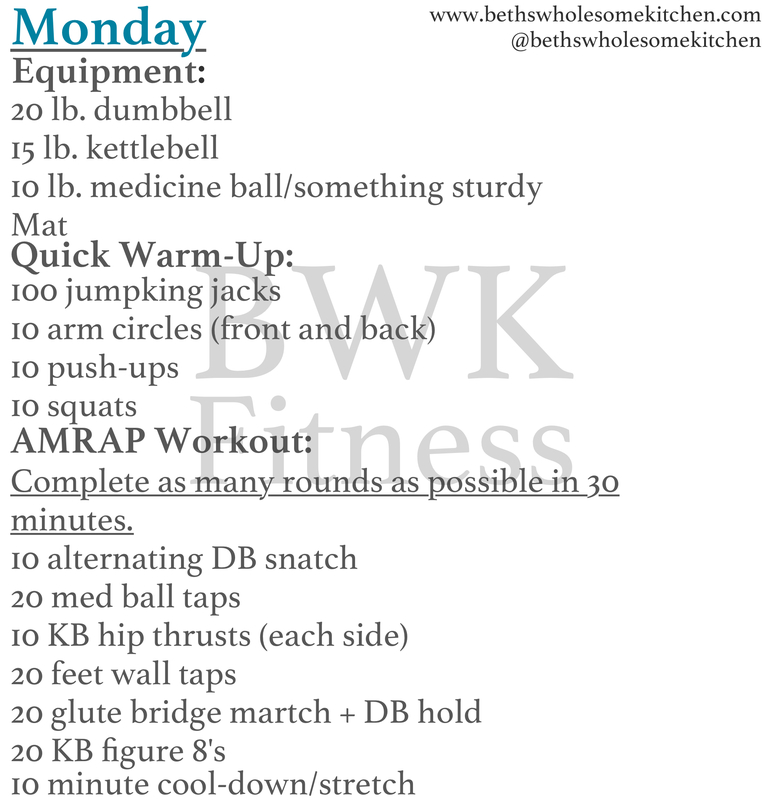 This week, I incorporated an AMRAP workout, HIIT workout, circuit workout, and core workout. AMRAP stands for as many rounds as possible, so that’s exactly what you do! For this AMRAP, I set a 30 minute time limit. This means that you’ll complete as many rounds as possible within the 30 minute time limit! 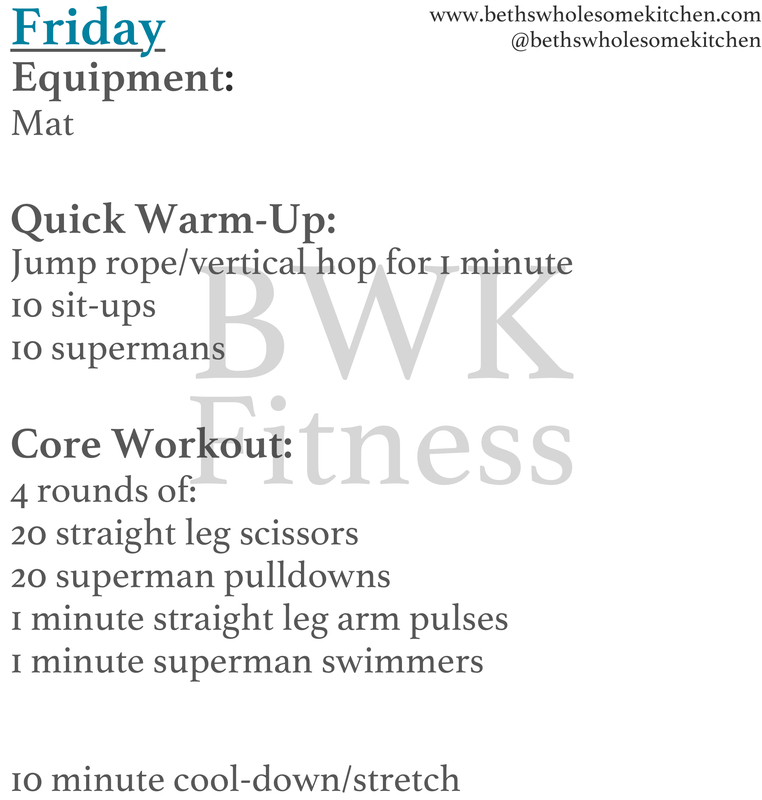 My knee started feeling a little funky on Thursday night, so I kept my workout really low impact on Friday! I’ve always had really bad knees, but l’ve been having IT band issues on my right knee for a while. My knee was just not having it, but I still wanted to get in a workout! My knees also tend to get very achy when the weather gets really chilly, so that didn’t help either. I decided to do a core workout instead, which I know I’ll be feeling it tomorrow! Yes, it was a low impact workout. Don’t let this fool you! I promise that you will feel sore the next day. It gets all your core muscles firing! 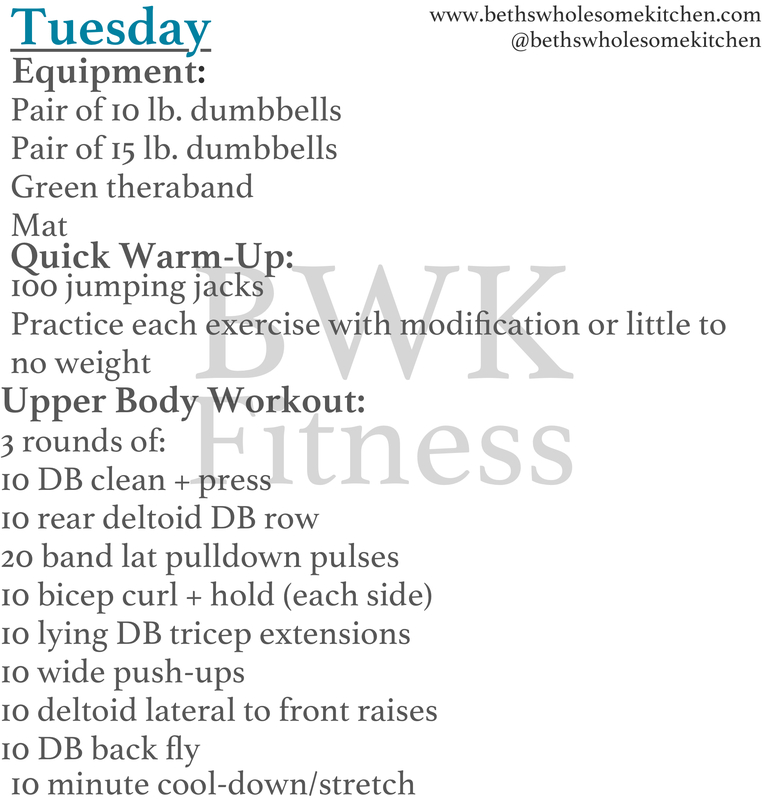 Be sure to tag me if you complete any of my workouts and use the hashtag #bwkfitness!